WARNING: Zidovudine, one of the medications in this product, can decrease bone marrow function, which may lead to low numbers of red and white blood cells. A low number of red blood cells can lead to anemia. A low number of white blood cells can decrease your body\'s ability to fight serious, life-threatening infections. These serious side effects occur more frequently in people with advanced HIV disease (AIDS). Seek immediate medical attention if you develop any signs of anemia (such as unusual tiredness, fast breathing, pale skin, fast heartbeat) or signs of infection (such as fever, chills, cough, persistent sore throat). Your doctor will check your blood cell counts while you are taking this medication to decrease the risk of these side effects. Zidovudine may also cause muscle problems. Seek immediate medical attention if you develop signs of muscle problems (such as wasting or decrease in muscle size, weight loss, muscle weakness/pain/tenderness). Rarely, lamivudine and zidovudine have caused severe (sometimes fatal) liver problems and a certain metabolic problem (lactic acidosis). Tell your doctor immediately if you develop symptoms of liver problems (such as persistent nausea, vomiting, stomach/abdominal pain, pale stools, dark urine, yellowing eyes/skin, unusual tiredness), or of lactic acidosis (such as stomach discomfort, nausea, vomiting, fast/difficult breathing, drowsiness, muscle pain, weakness, cold skin). These serious side effects may occur more often in women and obese patients. If you have hepatitis B infection and HIV, you may have a serious worsening of hepatitis symptoms if you stop taking lamivudine. Talk with your doctor before stopping this medication. Your doctor will monitor liver tests for several months after you stop lamivudine. Tell your doctor immediately if you develop symptoms of worsening liver problems. USES: This product contains 2 drugs: lamivudine and zidovudine. It is used with other HIV medications to help control HIV infection. It helps to decrease the amount of HIV in your body so your immune system can work better. This lowers your chance of getting HIV complications (such as new infections, cancer) and improves your quality of life. Both lamivudine and zidovudine belong to a class of drugs known as nucleoside reverse transcriptase inhibitors (NRTIs). Lamivudine/zidovudine is not a cure for HIV infection. To decrease your risk of spreading HIV disease to others, do all of the following: (1) continue to take all HIV medications exactly as prescribed by your doctor, (2) always use an effective barrier method (latex or polyurethane condoms/dental dams) during all sexual activity, and (3) do not share personal items (such as needles/syringes, toothbrushes, and razors) that may have contacted blood or other body fluids. Consult your doctor or pharmacist for more details. HOW TO USE: Read the Patient Information Leaflet if available from your pharmacist before you start taking lamivudine/zidovudine, and each time you get a refill. If you have any questions, consult your doctor or pharmacist. Take this medication by mouth with or without food, usually 2 times daily or as directed by your doctor. Take this medication with a full glass of water (8 ounces/240 milliliters) unless your doctor directs you otherwise. Because this combination product has fixed doses of lamivudine and zidovudine, it should only be used if your doctor has determined that the doses of both medications in this product are right for you. This product is not to be used in children weighing less than 30 kilograms (66 pounds). 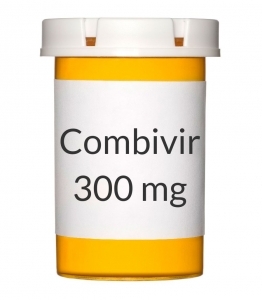 It is very important to continue taking this medication (and other HIV medications) exactly as prescribed by your doctor. Do not skip any doses. Do not increase your dose, take this drug more often than prescribed, or stop taking it (or other HIV medicines) even for a short time unless directed to do so by your doctor. Skipping or changing your dose without approval from your doctor may cause the amount of virus to increase, make the infection more difficult to treat (resistant), or worsen side effects. This medication works best when the amount of drug in your body is kept at a constant level. Therefore, take this drug at evenly spaced intervals. To help you remember, take it at the same times each day. SIDE EFFECTS: See also Warning section. Headache, tiredness, loss of appetite, nausea, vomiting, diarrhea, trouble sleeping, dizziness, or stuffy nose may occur. If any of these effects persist or worsen, tell your doctor or pharmacist promptly. Remember that your doctor has prescribed this medication because he or she has judged that the benefit to you is greater than the risk of side effects. Many people using this medication do not have serious side effects. Some people may experience worsening of a previous medical condition (such as an old infection) as their immune systems improve, or develop new conditions because their immune systems have become overactive. This reaction may occur at any time (soon after starting HIV treatment or many months later). Tell your doctor right away if you have any serious side effects, including: unexplained weight loss, persistent muscle aches/weakness, joint pain, numbness/tingling of the hands/feet/arms/legs, severe tiredness, vision changes, severe/persistent headaches, signs of infection (such as fever, chills, trouble breathing, cough, non-healing skin sores), signs of an overactive thyroid (such as irritability, nervousness, heat intolerance, fast/pounding/irregular heartbeat, bulging eyes, unusual growth in the neck/thyroid known as a goiter), signs of a certain nerve problem known as Guillain-Barre Syndrome (such as difficulty breathing/swallowing/moving your eyes, drooping face, paralysis, slurred speech). Tell your doctor immediately if any of these unlikely but serious side effects occur: mental/mood changes (such as depression), signs of pancreatitis (such as nausea, vomiting, stomach/abdominal/back pain, fever), easy bruising/bleeding, skin/nail color changes. Changes in body fat may occur while you are taking this medication (such as increased fat in the upper back and stomach areas, decreased fat in the arms and legs). The cause and long-term effects of these changes are unknown. Discuss the risks and benefits of treatment with your doctor, as well as the possible use of exercise to reduce this side effect. This medication can commonly cause a rash that is usually not serious. However, you may not be able to tell it apart from a rare rash that could be a sign of a severe reaction. Therefore, seek immediate medical attention if you develop any rash. A very serious allergic reaction to this drug is unlikely, but seek immediate medical attention if it occurs. Symptoms of a serious allergic reaction may include: rash, itching/swelling (especially of the face/tongue/throat), severe dizziness, trouble breathing. This is not a complete list of possible side effects. If you notice other effects not listed above, contact your doctor or pharmacist. In the U.S. - Call your doctor for medical advice about side effects. You may report side effects to FDA at 1-800-FDA-1088. In Canada - Call your doctor for medical advice about side effects. You may report side effects to Health Canada at 1-866-234-2345. PRECAUTIONS: Before taking lamivudine/zidovudine, tell your doctor or pharmacist if you are allergic to either drug; or if you have any other allergies. This product may contain inactive ingredients, which can cause allergic reactions or other problems. Talk to your pharmacist for more details. Before using this medication, tell your doctor or pharmacist your medical history, especially of: kidney problems, liver problems (such as hepatitis B or C, cirrhosis), disease of the pancreas (pancreatitis), alcohol use, low red/white blood cell counts. This drug may make you dizzy. Do not drive, use machinery, or do any activity that requires alertness until you are sure you can perform such activities safely. Limit alcoholic beverages. Also limit alcohol because it can increase the risk of liver problems and pancreatitis. Children may be more sensitive to the side effects of this drug, especially pancreatitis. Before having surgery, tell your doctor or dentist about all the products you use (including prescription drugs, nonprescription drugs, and herbal products). During pregnancy, this medication should be used only when clearly needed. However, HIV medicines are now usually given to pregnant women with HIV. Treatment has been shown to decrease the risk of HIV transmission to the baby. Lamivudine/zidovudine may be part of that treatment. Discuss the risks and benefits with your doctor. Lamivudine and zidovudine pass into breast milk. Because breast milk can transmit HIV, do not breast-feed. DRUG INTERACTIONS: The effects of some drugs can change if you take other drugs or herbal products at the same time. This can increase your risk for serious side effects or may cause your medications not to work correctly. These drug interactions are possible, but do not always occur. Your doctor or pharmacist can often prevent or manage interactions by changing how you use your medications or by close monitoring. To help your doctor and pharmacist give you the best care, be sure to tell your doctor and pharmacist about all the products you use (including prescription drugs, nonprescription drugs, and herbal products) before starting treatment with this product. While using this product, do not start, stop, or change the dosage of any other medicines you are using without your doctor\'s approval. Some products that may interact with this drug include: interferon alfa, probenecid, ribavirin, stavudine, zalcitabine, drugs that may decrease bone marrow function or lower blood cell counts (such as ganciclovir, trimethoprim, cancer chemotherapy including doxorubicin), drugs that may affect the kidneys (including NSAIDs such as ibuprofen or naproxen). Other medications can affect the removal of zidovudine from your body, which may affect how lamivudine/zidovudine works. Examples include fluconazole, rifampin, valproic acid, among others. If you are also taking clarithromycin, take this medication at least 2 hours apart from your clarithromycin dose. Do not take other products that contain either lamivudine or zidovudine with this medication. Emtricitabine is similar to lamivudine and should not be taken with this medication. This document does not contain all possible interactions. Therefore, before using this product, tell your doctor or pharmacist of all the products you use. Keep a list of all your medications with you, and share the list with your doctor and pharmacist. NOTES: Do not share this medication with others. Laboratory and/or medical tests (such as blood cell counts/tests, liver tests, kidney tests, viral load, T-cell counts) should be performed periodically to monitor your progress or check for side effects. Consult your doctor for more details. Keep all medical and laboratory appointments. STORAGE: Store between 36-86 degrees F (2-30 degrees C) away from light and moisture. Do not store in the bathroom. Keep all medicines away from children and pets. Do not flush medications down the toilet or pour them into a drain unless instructed to do so. Properly discard this product when it is expired or no longer needed. Consult your pharmacist or local waste disposal company for more details about how to safely discard your product.